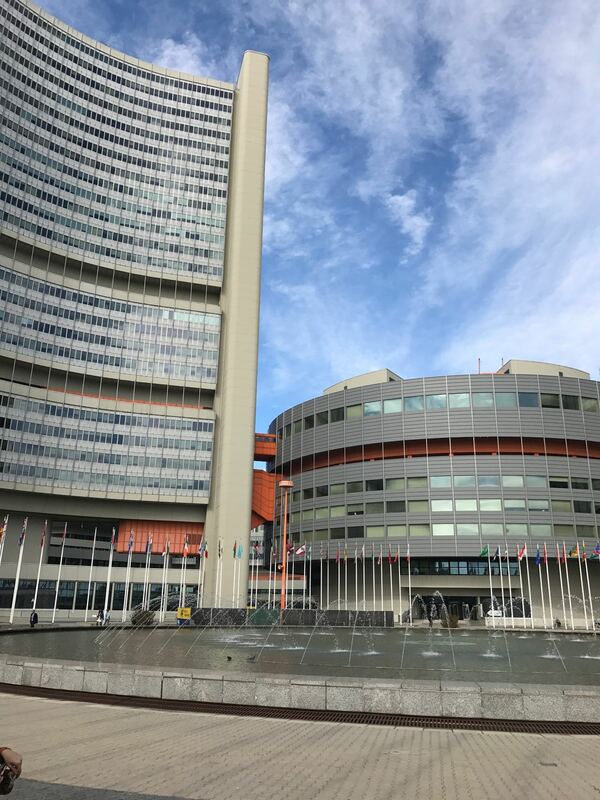 Institutional dialogue with NGO representatives, scholars and religious actors during the Conferences on «Governments and NGOs: Together against radicalization» and «Challenges Today and Tomorrow» held at the United Nations in Vienna. During the NGO Conferences in Consultative Relationship with the United Nations on « Governments and NGOs: Together against radicalization» and «Challenges Today and Tomorrow» held in Vienna on 12 October 2017, The Secretary General of the AIDLR in his dialogue with CYRIL RITCHIE - CoNGO President and Dr. WOLFGANG BEIGLBOECK - CoNGO Vice Presidence, spoke together on the necessity of mutual cooperation and organizing future conferences – The UN in Vienna in the Vienna International Center; they discussed obtaining support from the CoNGO and participation on defence and promotion of fundamental freedoms, peace and security at regional and international level. Other important conversations took place too on the AIDLR expertize and future plans of collaboration between Secretary General Olteanu with Dr. Nizam ASSAF - Director of the Amman Center for Human Rights Studies, Amman Jordan, Pastor Dietrich DORL - Representative of Baptist Union of Austria from Vienna, Margaret CLARK- Soroptimist International Assistant Programme Director Advocacy from the UK, and Irmgard MANTLER, representing the Global Women’s Peace Network. Photo: General view during the Vienna International Centre, Conference on «Diversity unites! –Governments and NGOs: Together against radicalization» hosted at the Conference Room C-2 on 12 October 2017, at the Vienna International Centre, Vienna.